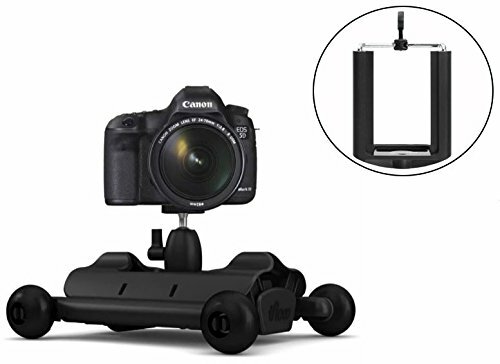 Pico Dolly Kit Digital DSLR Skater: compatible with camcorders, SLRs, and smartphones, this product makes it easier to take videos with your smartphone. 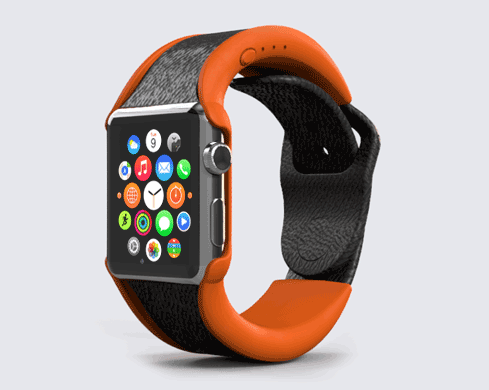 The arm adjusts to about any position. IFLOW PRO: a portable dolly for cameras and smartphones. You can take it to any location for smooth filming. 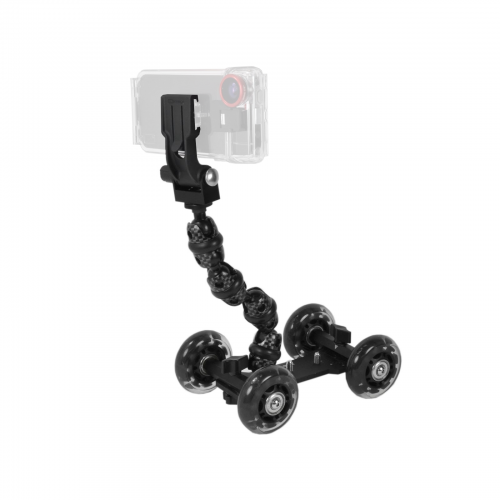 The wheels are quite and support fluid camera movements. 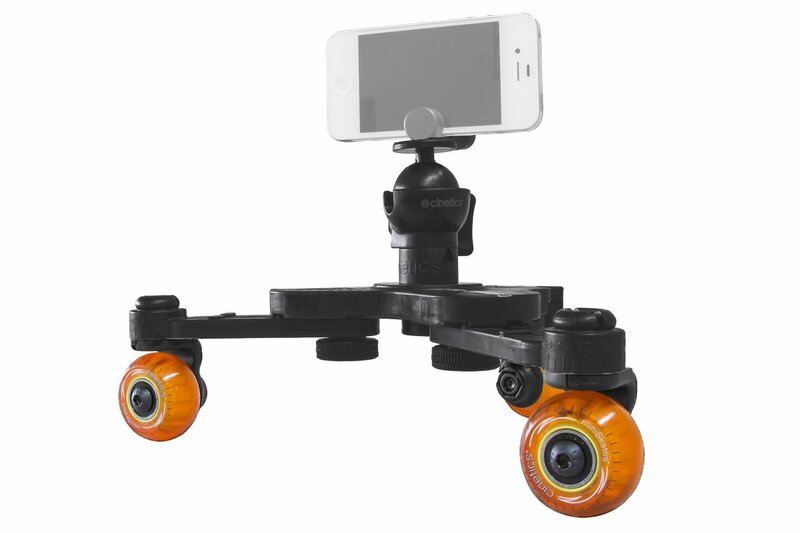 Optrix XD5 Dolly: lets you take smooth tracking shots on any surface. You get a 1/4″ tripod adapter with your purchase. 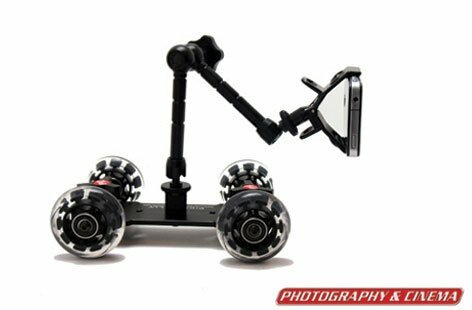 Cinetics miniSkates Pro Tripod Camera Dolly: lets you capture moving video with your smartphone thanks to its set of three wheels. The wheels can be positioned to make linear or arcing moves. The system is modular. 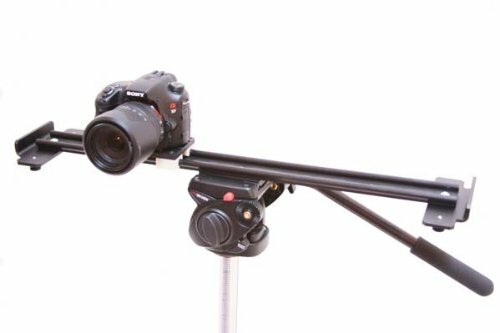 SimpleSLIDER: a compact slider dolly for cameras up to 3 lbs. It has smooth nylon guides and ships with a universal smartphone clamp. You get 24″ rails, a camera platform, and two height-adjustable ends. These products let you produce smooth video with your smartphone. There are more expensive options on the market, but those are not for everyone.